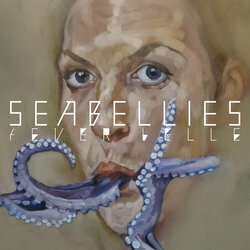 Seabellies’ new album Fever Belle follows 2010’s critically acclaimed debut LP By Limbo Lake. Fever Belle was a monster of an album to create for Seabellies, being their most ambitiously melodic and textured work to date. Written in Melbourne and Berlin, and recorded in Sydney and Berlin, the album has no real geographical anchor, taking in many new influences for the band. Fever Belle was produced by Simon Berkleman (Philadelphia Grand Jury) and revered Australian producer Tim Whitten. Berkleman was an assistant engineer on Seabellies’ debut EP Wave Your Fingers To Make The Winters (2007) and a chance meeting with Seabellies frontman Trent Grenell at a Berlin market in 2011 led to the two forming a plan to record together. Come November, Seabellies will be embarking on their largest ever national tour to celebrate the album’s release. The multi-instrumental quintet will be playing their new material across the country in support of both the album and new single ‘Berlin Horses’.